These stakeholders are working together to find a way to manage their activities using the ‘ecosystem approach'. By thinking about the complex interactions in this marine ecosystem (including living and non-living components and human activities), they've created their own practical guide to safeguard a future for all. This innovative process is the first opportunity for people whose livelihoods depend on this region to translate EU policy into sustainable practice for a whole range of sectors spanning France, Ireland, England, Wales and Spain. 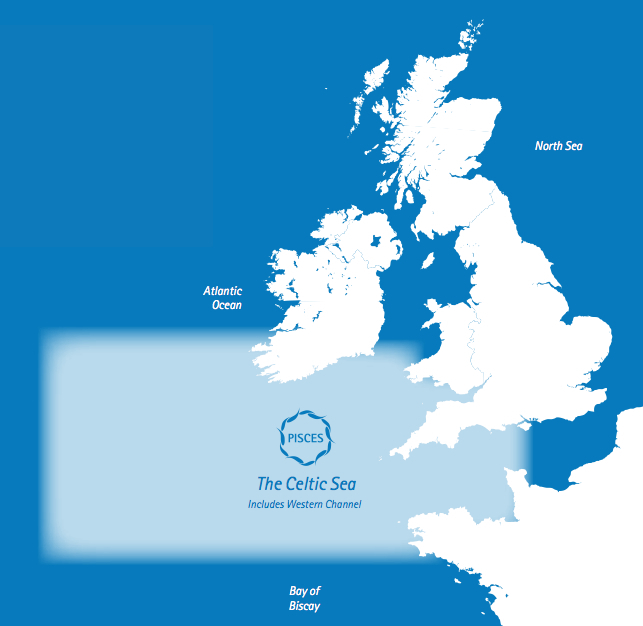 We have been developing important lessons for the implementation of marine legislation across the Celtic Sea*, which will be a blueprint for Europe and beyond. The Celtic Sea*, like most oceans and seas, is under growing pressure from human activities and is in need of protection. This is one of the most heavily used seas on the planet and both the ecosystem and people’s livelihoods are under threat – from pollution, over-fishing, shipping and extraction of aggregates and other resources. Why is the PISCES project needed? Project PISCES is made up of core stakeholders (including sea users, and members of government statutory agencies), supported by a management team and advisory group, who are working together to produce a set of practical guidelines to manage the marine environment more sustainably. This is a stakeholder-led project. What is an ecosystem approach?